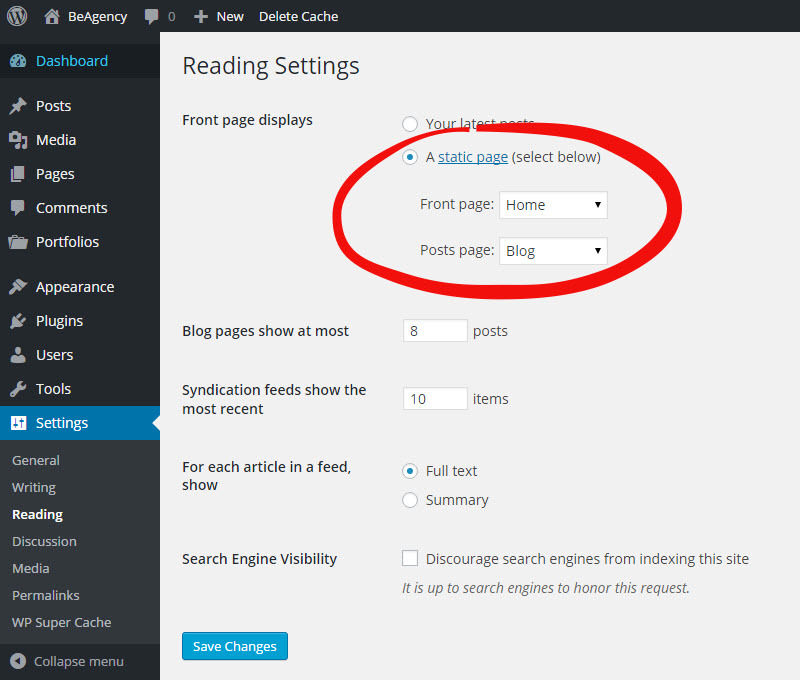 By default, WordPress shows your most recent posts in reverse chronological order on the front page of your site. But our themes rely on a Static Front Page in combination with a fully modular "Home Page" template which you can use to create awesome and flexible front pages based on modules. In this article we will cover how you can easily set up your static front page and posts page. Well, you just need 3 steps critical to create static Front Page and Posts Page on your site with WordPress. Create a Front Page. Log in to the WordPress Dashboard. Once there, go to Pages -> Add New. 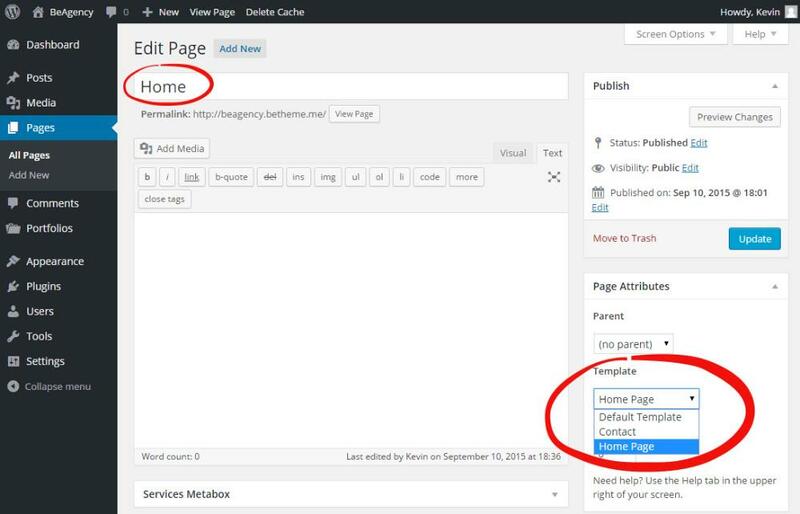 Create a new page named "Home" (or anything else), select "Home Page" as the template for your new page and then publish the page. Create a Blog Page. Go to Pages -> Add New. Create a new page and name it "Blog", "Archive" or whatever you want, then publish the page. DO NOT use a custom Page Template for this page. Set Front Page and Posts Page. Go to Settings -> Reading. In the drop down menu for Front Page select "Home" or the name you created. In the drop down menu for Posts page select "Blog" or the name you created. Save changes. You won't need to add any content in the WordPress editor for your static Front Page and Posts Page, because these content will be ignored. Content is added by using the modules instead. 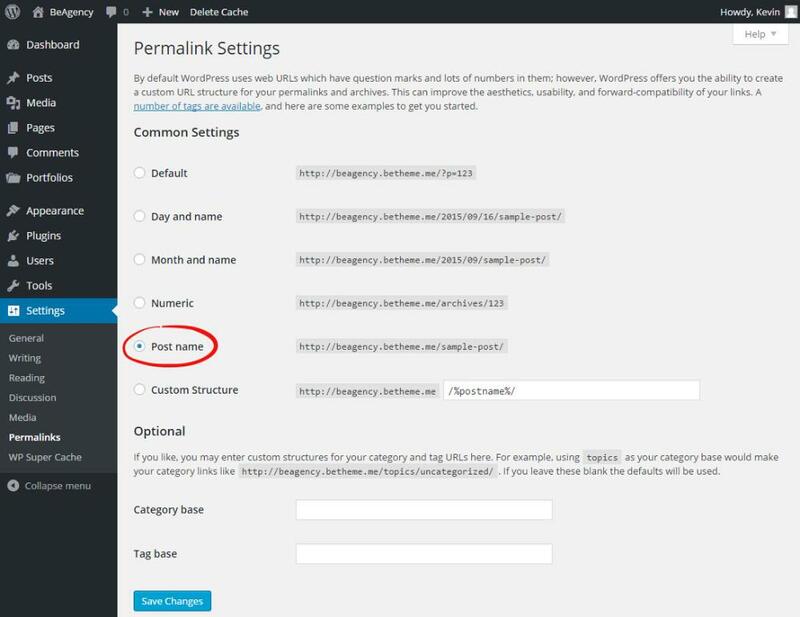 For better usability and SEO we recommend that you change the default permalink structure to "Post name". This will give your posts and pages a pretty URL structure, which will help search engines to index your site properly and also help users to navigate on your site. Go to Settings -> Permalinks to change it.